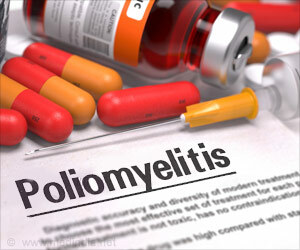 Poliomyelitis is an acute viral infection caused by polioviruses (three antigenic types I, II, and III). The poliovirus is an enterovirus. All three viruses can cause paralysis; however it occurs most commonly by type I followed by type III and very rarely by type II. Due to intensive pulse polio immunization along with routine immunization has reduced its incidence to negligible and it almost near eradication in our country. But there are still a reasonable number of patients of residual paresis who need some sort of surgical correction either for proper fitting of orthosis or for the proper use of the extremity. The cases of cerebral palsy, myopathies and the neuropathies like motor neuron disease, Gullain-Barre syndrome etc need to be differentiated from poliomyelitis. Three types of cases occur: Inapparent infections (95% cases), non-paralytic infections (about 5%) and paralytic cases 0.5% cases. The acute attack can cause death in 2-10% of case. The non-paralytic infection is manifested by fever, sore throat, headache, nausea, vomiting, diarrhea and rigidity of the neck and back lasting for 2-10 days. The paralytic attack is manifested by acute flaccid paralysis of the muscles of the limb or the trunk and face followed by maximum recovery within 6 months. Broadly and conventionally these are acute attack and the residual paresis and paralysis. No surgical treatment is expected at this level. Only referral to higher centre. One should recognize the features of flaccid or lower motor neuron level disorder and its residual effects. The acute poliomyelitis is managed by pediatricians and the orthopedics management include only the splintage of the extremity in the functional and proper resting position till the phase of convalescence. For residual motor weakness: The goal of the treatment at the non metro clinic or small hospital is: Evaluation of the motor weakness by muscle power charting by Medical Research Council (MRC) grading system (Grade 0 to5). X-rays of the affected area as per the requirement. -arrangement of polio corrective surgery camps ( but the team of surgeons from teaching Medical Institute/College should evaluate the cases and supervise the surgeries). -Additionally at the district level hospital the patients can provided the orthosis and walking aids (like sticks, crutches, walkers etc), and wheel chair/tricycles from the district level charitable agencies (Governmental/Non-governmental). -They can be issued the disability certificates for their financial benefits for various schemes run by the Government. Criteria for referral: The cases who need investigations like nerve conduction studies and electromyographies. Those who need tendon transfers, correction of deformity at multiple joints and in different planes. Any case where the non metro level surgeon is in doubt in decision making of the type of surgery should be referred. At the metro or the medical college level hospital the goal of management of these cases include: In addition to the situation 1- If required the elctromyographic studies, nerve conduction studies. tenotomies, capsulotomies and arthrodesis as per the indication and after the careful evaluation of the individual. The goal of the treatment is focused on the independent walking (for lower limb) or the proper use of the upper extremity with/without orthosis. The lower extremity should be with planti-grade foot with no or minimal residual deformity at various joints and the limb should be suitable for fitting of the orthosis/calipers. The upper extremity should be made for the independent usage with/without support. Tripple arthrodesis for talipes equino-varus correction in mature feet etc. All the surgeries should be performed by the experienced surgeon and standard text book on the subject should be available in the operation theatre for the reference.